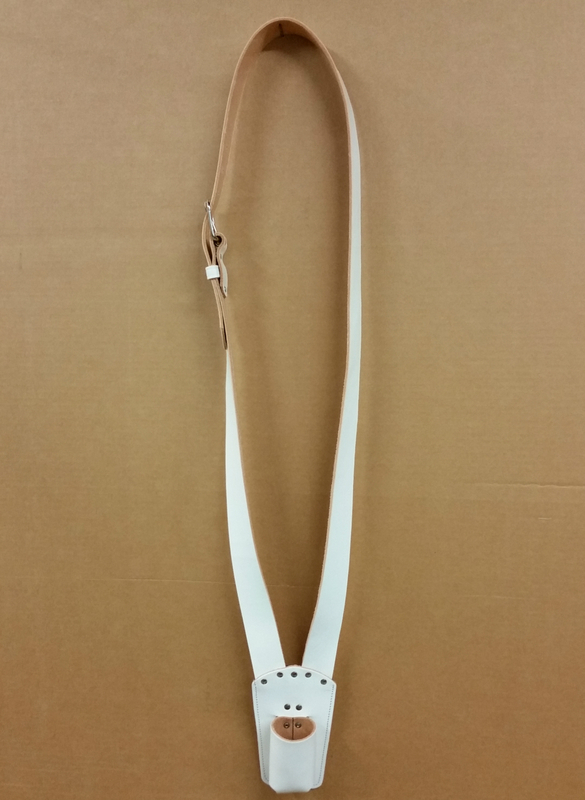 This is a full grain cowhide leather carrier finished in white. Overall length is 36 inches top to bottom in the photo. The leather strap is 1.5 inches wide with a nickel buckle for adjustment.